set of instructions and hitting drills to maximize his/her understanding and potential. Sunday sin April, starting the 7th. Clinic is Full. See below if your league would like us to host a camp at your fields! “CLINICS TO GO” We will come to your field or practice space! For your convenience, our professional instructors will come to your field or location and run a camp or clinic specifically designed around your needs. Whether its for a team or a league, we will customize a clinic for you. We can even set up a Camp FUNdraiser for your league in which a portion of each player’s registration, will be donated back to your league. Call 607-973-2226 for more details. Our instructors offer free coaching clinics to any league. We can help with showing up-to-date mechanics and training drills to build the proper foundation. We can even help with setting up efficient & productive practices. FREE SPACE FOR YOUR ORGANIZATION TO HOLD REGISTRATIONS! If you have a small group or team looking for specific training, contact us to customize a clinic and price for your group or just bring your team and work on your own. All instructors are available for private, semi-private and group instruction. Call for times & dates. Please see instructor bios. If your league is interested in having our instructors hold a camp at your fields, just call 607-973-2226 or 607-346-0113. 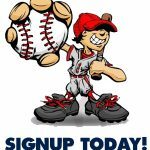 Please join our mailing list to be notified of future camps and clinics.